Well-being hotel at the foot of Seiser Alm with extensive park and pool, good regional cuisine and perfect conditions for active vacationers. 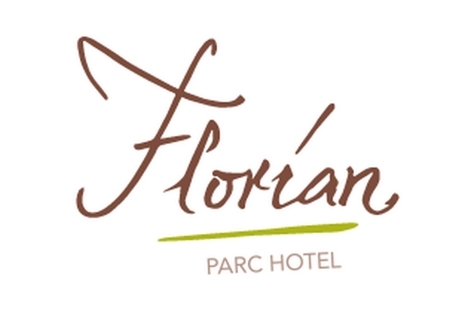 Welcome to Parc Hotel Florian*** in Seis am Schlern! The Parc Hotel Florian*** is located in Seis am Schlern at the foot of famous Seiser Alm pasture. We await our guests with a familiar atmosphere, elegant furnishings with natural materials, light-flooded premises as well as with our creative gourmet cuisine. Just take a break and look forward to unforgettable adventure in nature and gourmet highlights. Our comfortable rooms are furnished in a modern or classic Tyrolean style and have a bathroom/WC, hairdryer, partially a balcony, flat screen TV, safe, vanity set, bathrobes and sauna towels and offer a unique vie over Schlern massif. Within our ¾-gourmet board, we offer a rich breakfast buffet, delicious snack in the afternoon as well as menus with several courses at dinner, accompanied by excellent wines. Relax in our spa oasis with sauna, steam bath, whirlpool and infrared cabin as well as in our 6,000 m² garden park with outdoor pool and inviting chill-out islands. Starting from Parc Hotel Florian in Seis, you can easily reach Seiser Alm pasture via a modern cableway. A shuttle brings you there directly from the hotel. Once you arrive at Seiser Alm, you will look forward to magnificent hikes and bike tours in the heart of the Dolomites. In winter, family-friendly ski runs perfectly prepared cross-country ski runs and unforgettable snowshoe hikes will make you feel like in paradise. approx. 12 qm The bright and stylish single rooms are fitted out with wooden furnishings and parquet. Rooms overlook our park grounds, are equipped with flat screen TV, personal safe and have Wi-Fi connection. Bathrooms are with shower, toilet, bidet and hair dryer. Cosmetics, Spa bathrobes, sauna towels and slippers are all included. approx. 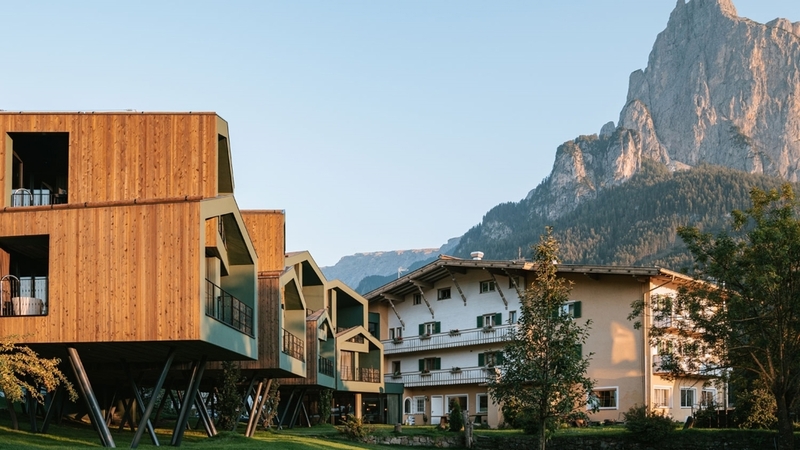 18-24 qm Rooms are bright and stylish with balconies overlooking the spectacular Sciliar/Schlern Mountain Massif, the Santner Peak or our park-like grounds. Rooms are fitted out with wooden furnishings, fixtures and parquet. Rooms are equipped with flat screen TV, personal safe and have Wi-Fi connection. Bathrooms with shower, toilet, bidet and hair dryer. Cosmetics, Spa bathrobes, sauna towels and slippers are all included. approx. 20-40 qm These well-lit, modern rooms with scenic views of the Sciliar/Schlern Mountain Massif and the Santner Peak are fitted out with wooden furnishings, fixtures and parquet. The spacious bathrooms are with shower, under-floor heating, WC, bidet and hairdryer. Rooms are equipped with flat-screen TV, personal safe, luggage rack, a desk and have Wi-Fi connection. Cosmetics, Spa bathrobes, sauna towels and slippers are all included. The double superior rooms may also accommodate an extra bed. approx. 22-26 qm The spacious attic rooms have a partially sloped ceiling, with hardwood floors. Rooms are equipped with flat screen TV, personal safe, a desk and have Wi-Fi connection. Bathrooms are with shower, toilet, bidet and hair dryer. Cosmetics, Spa bathrobes, sauna towels and slippers are all included. The attic rooms may also accommodate an extra bed. Vegetarian food , Sunshade, Deckchair, Journals at disposal, Multilingual receptionists by day, Shuttle service, Family-friendly, Children's meals, Int he village centre, Quiet position, Shops in the environs, above 1000 m a.s.l.